ABC's upcoming culinary reality show "The Taste" just added a couple more ingredients. 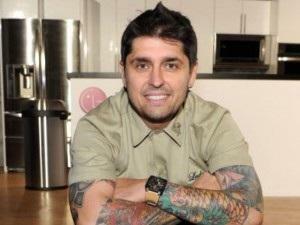 Pop-up restaurant pioneer Ludo Lefebvre (pictured) and "Top Chef" alum Brian Malarkey have signed on as mentors for the series, joining Anthony Bourdain and Nigella Lawson for eight episodes of the show. "The Taste," which premieres next year on ABC, will feature Bourdain, Lawson, Lefebvre and Malarkey coaching a team of four competing pro and amateur cooks chosen from a nationwide casting call as they vie to create the best tasting dish. As these things often go, challenges will be issued, elimination rounds will be endured, and blind taste tests will take place. "The Taste," which comes via Kinetic Content, is executive-produced by Chris Coelen, Matilda Zoltowski, Emma Conway, Bourdain and Lawson. Brian Smith is the director.